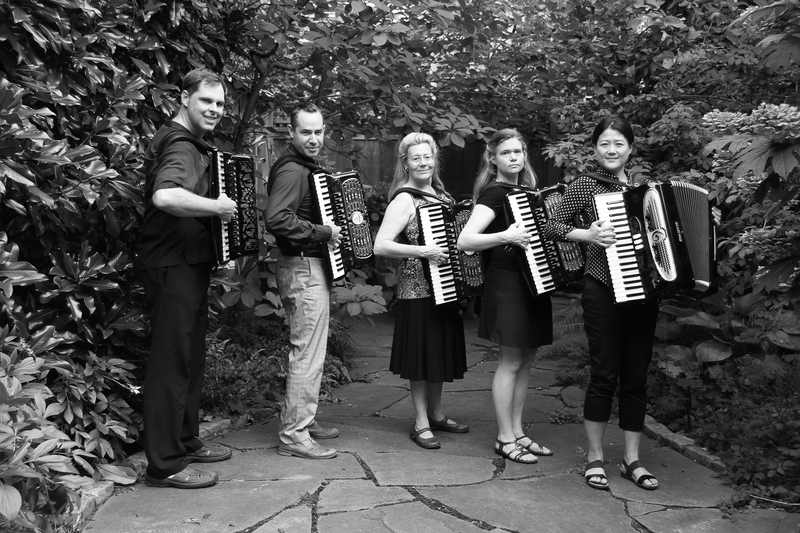 Bachtopus is an accordion ensemble from New York City that performs music by contemporary composers and Johann Sebastian Bach. The ensemble was borne out of a fruitful musical duet between Robert Duncan and Mayumi Miyaoka, who partnered during the Winter of 2011. Denise Koncelik and Peter Flint, who were members of the Brooklyn Accordion Club, joined the duet to play Bach’s organ music, which is well suited to the accordion. 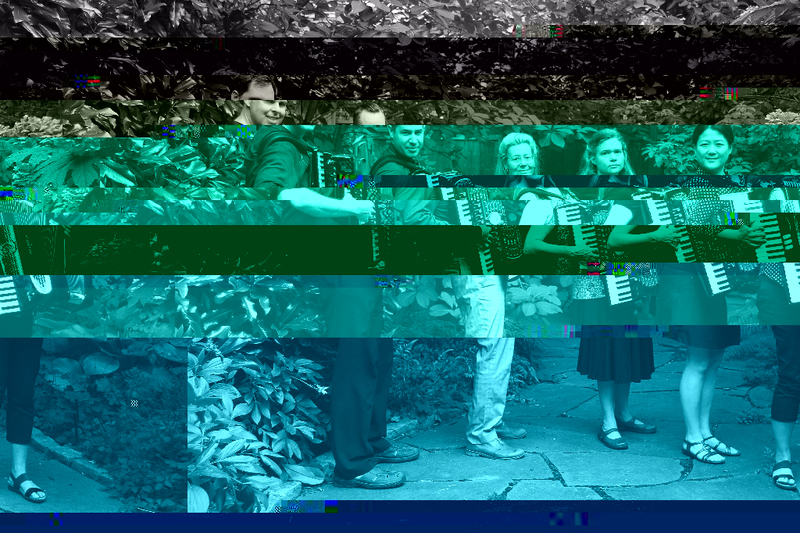 The group soon shifted focus to become one of the few accordion ensembles in the United States that focuses on new music. 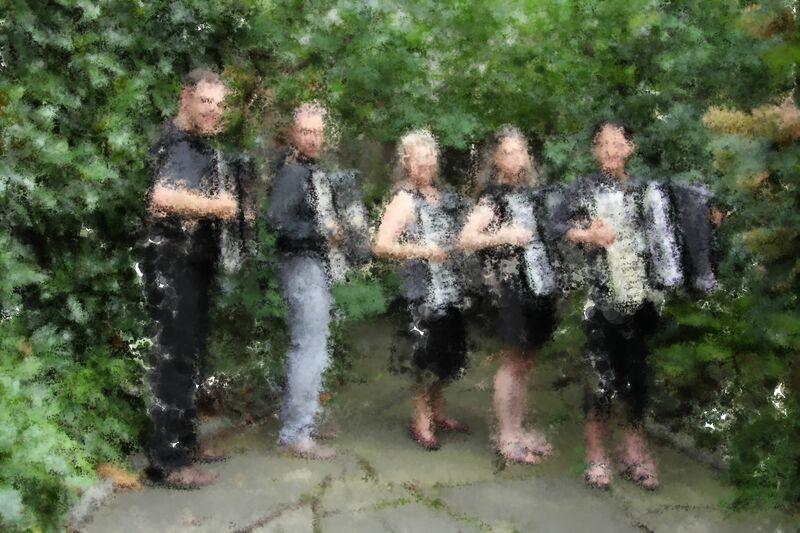 Having established a large repertoire in just a few years, Bachtopus seeks to play more original compositions, commissioned works, and contemporary music that is interesting, accessible, and grounded in traditional folk music. The ensemble has performed for diverse audiences, and previous performance highlights include: Make Music New York, Bach in the Subways, The New Museum, Accordions Around the World, the United Nations, and the American Accordion Association Seminars. Bachtopus performs music by and is inspired by the Accordion Tribe, Motion Trio, the Kronos Quartet, the Bang On a Can All-Stars, and Jacques Cousteau. The group features original compositions by Bratko Bibič, Peter Flint, Philip Glass, Lars Hollmer, Guy Klusevsek, Sy Kushner, Arvo Pärt, Elliot Roman, Bill Schimmel, Doug Makofka, Bob Goldberg, and Stas Venglevski.